As perhaps the archetypical oyaji camera shop they were certainly never the friendliest, but had a solid selection of used cameras in all formats including large format at reasonable prices. 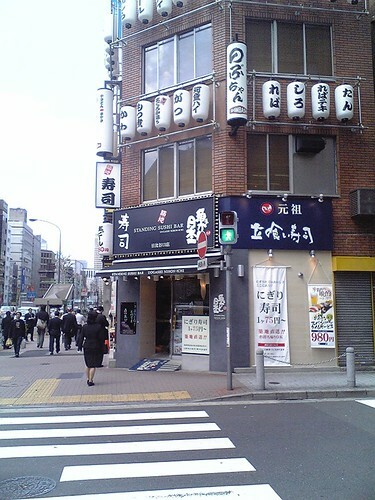 This is like Shinbashi itself. No visit to the area would be complete without a quick browse at Ohba Camera. After 60 years in business, they are no more since 30 Apr 08. What a shame. Damn, any reason why they have closed? 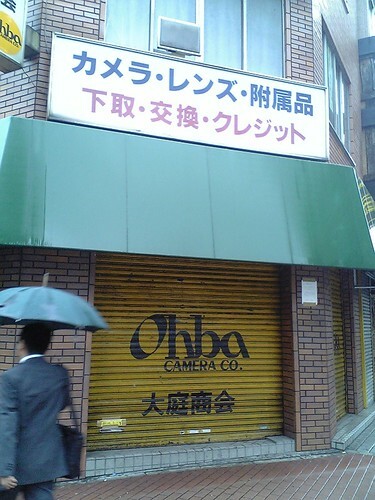 I used to stop by Ohba Camera every day at lunch and on my way home through Shimbashi Station, I loved that store! 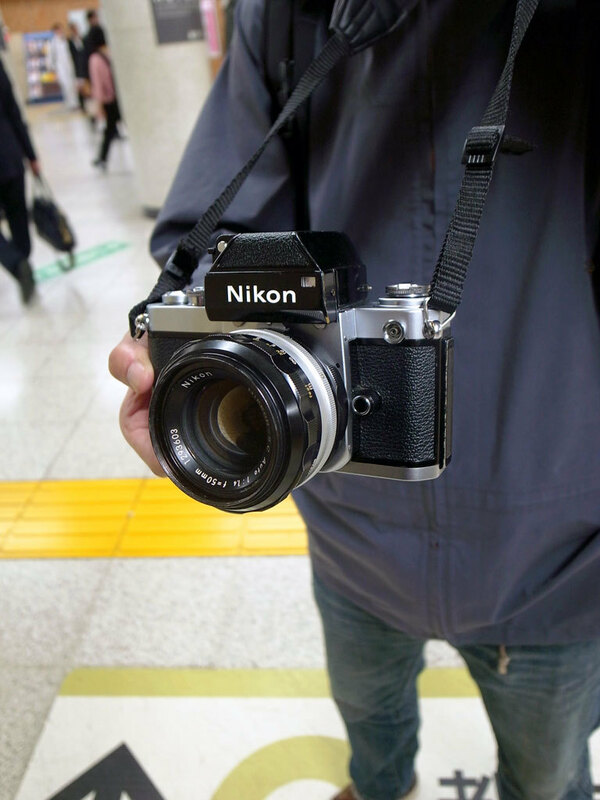 They gave at least 30 percent higher for trade-ins than any other camera store in Tokyo. I always found the clerks and the manager there incredibly friendly and helpful. The manager told me the used camera market was really hurting in Tokyo, so they were forced to close. They had a huge going-out-of-business sale for the last two weeks, everything in the store was 20 percent off. That store was packed for those final two weeks, I got a lot of great buys on some Nikon lenses during the final sale. The employees asked what I was going to do when their store closed, they knew I was an Ohba Camera addict! If you need another good shop for your addiction, check out Chikuma Camera in Ueno. You can mention my name as a referral. sorry we missed the sale I am even sorrier it is gone. Sorry to add to your pain. Ohba Camera actually had a 30 percent off everything in the store final clearance sale! I was mistaken. Thanks for the tip about Chikuma Camera, I’ll have to stop by there, if I can figure out how to tell my wife I need to go to Ueno. Perhaps I’ll tell her I want to hit all the national museums over there for the “educational” opportunities. I think your problem is the same as mine. May be an universal problem that affect all of us, camera and lens lovers……. Thing is, the shacho there owns the land. That piece of land is worth way more than an income from any camera store. Sad to see them go, wonder where the stock went? Where the stock went? I stopped by on the final day of the going out of business sale at Ohba and that store was pretty much cleaned out. All the Leica, Nikon and medium format gear, and anything of real value, was long gone. I still miss that store, but saw one of their former employees at the used camera show in the Ginza last week, so it was good to see a familiar face. Now, I’m back to getting used to being offered pennies on the dollar whenever I want to trade anything in at any used camera shop in Tokyo.